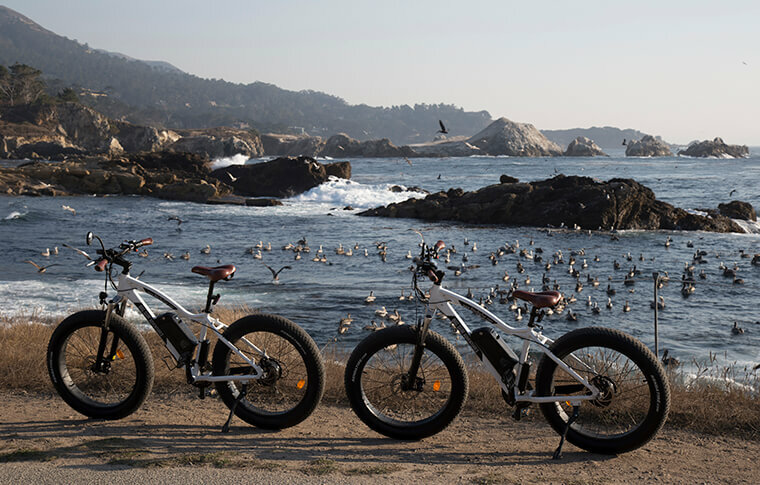 Legendary for its beauty, 17-Mile Drive meanders up and down the hills of Pebble Beach. 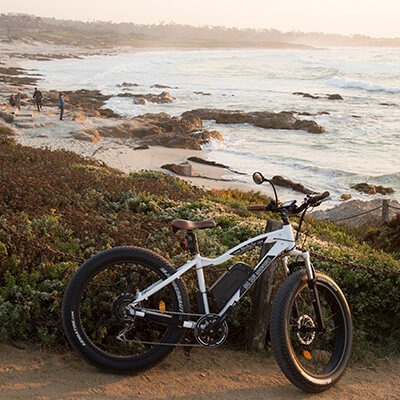 Join us as we admire stunning seaside views, famous golf courses, and amazing mansions on this guided e-bike tour. If only one person is booked for the tour, he or she pays $89. There will be approximately 1.5 hours of biking and 2 hours for photographs. 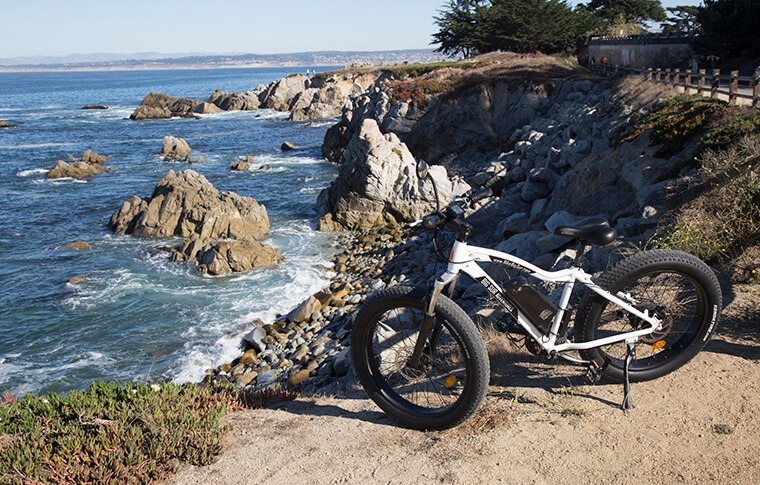 Riders also have the option to continue unguided to Point Lobos or Carmel for an extra $10 per hour. If only one person is booked for the tour, he or she can ride at an increased cost. For groups larger than six, please contact us to set up a tour. 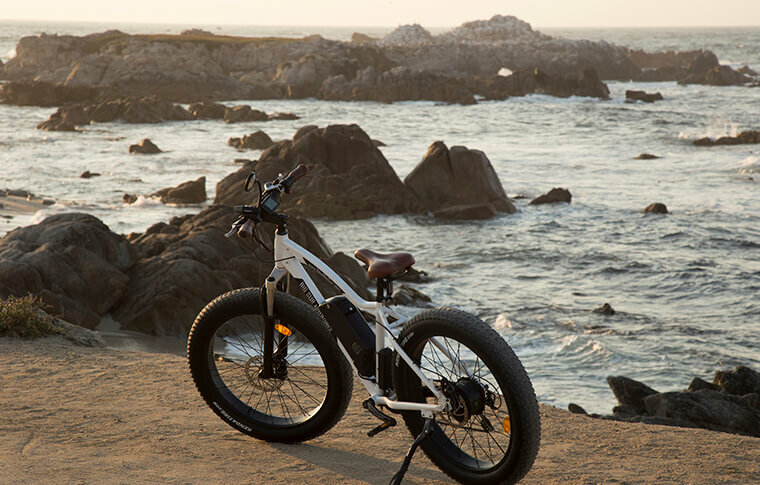 Soak up the beautiful coast of Northern California in this 3.5-hour guided e-bike tour. 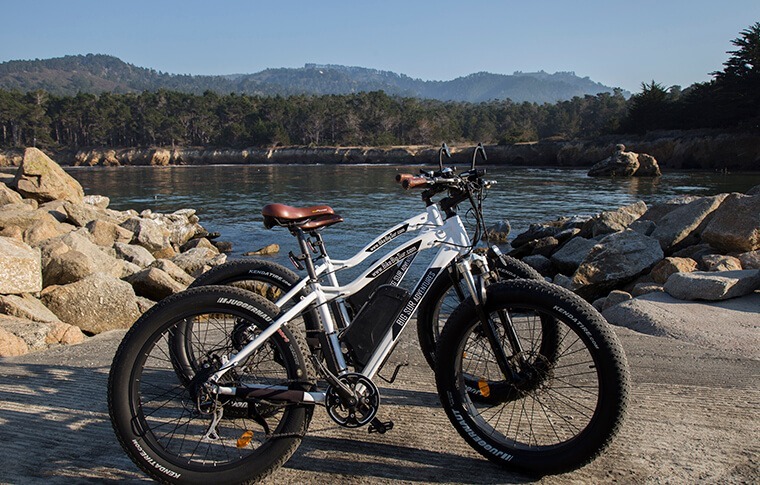 Meet us at our base in the American Tin Cannery Outlets, where we’ll introduce you to the e-bikes and give you a safety briefing. Our first stop will be Lover’s Point, which offers a gorgeous view of the ocean. 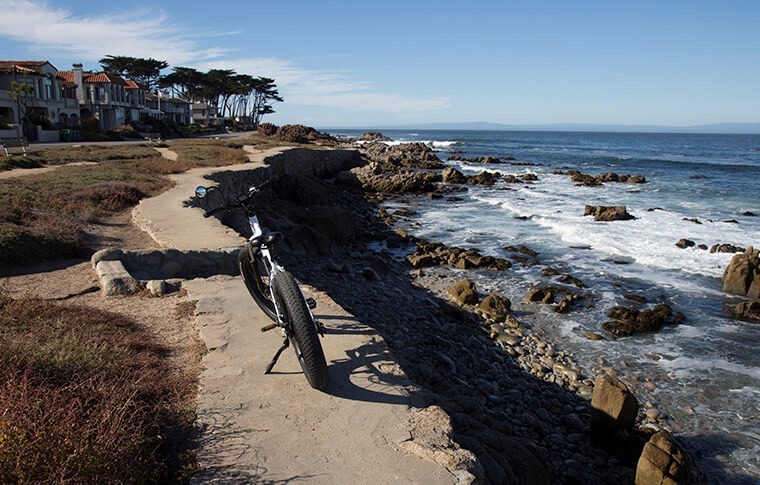 Try to catch a glimpse of sea otters as we ride through the Pacific Grove Marine Gardens Conservation Area! You can also pay homage to the memory of John Denver as we pass his memorial. Continuing our trek up the coast, we’ll have a chance to see the Point Pinos Lighthouse, which has shone since 1855. 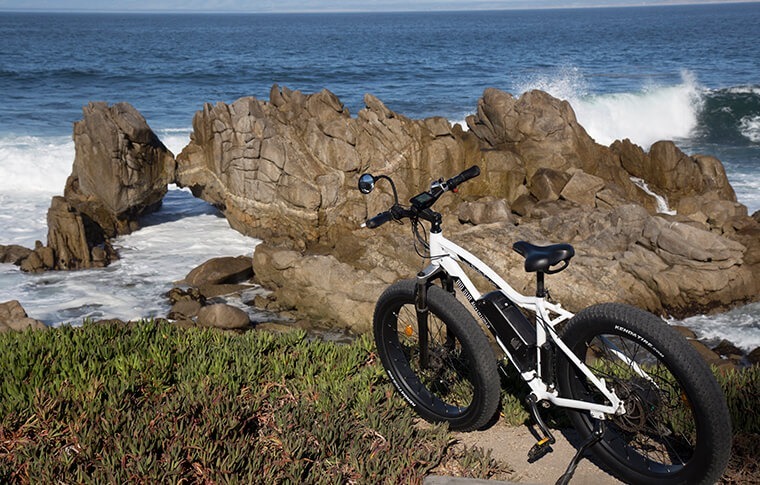 We’ll then pedal past the sandy shores of Asilomar State Beach, making stops at viewpoints to take in ocean vistas and the fresh sea breeze. Afterwards, marvel at The Links at Spanish Bay, a stunning golf course with fairways overlooking the ocean. We’ll continue past the rest of Spanish Bay and make our way to Pacific Grove Gate, the official start of 17-Mile Drive. Snap a photo of China Rock and Bird Rock (which, despite its name, is shared by sea lions). We’ll relieve the Lone Cypress of its solitude for a few moments before continuing our ride to the Ghost Tree at Pescadero Point. Last but not least, take a minute to imagine yourself in one of the luxurious mansions along the path. Our local guides will share their knowledge of the area’s unique ocean wildlife and iconic landmarks throughout the tour. The full ride is 21 miles round trip and lasts approximately 3.5 hours, including plenty of time for photographs. See more of the gorgeous California coast in a shorter amount of time. Less physical effort means that you can spend your time enjoying the views, not catching your breath. 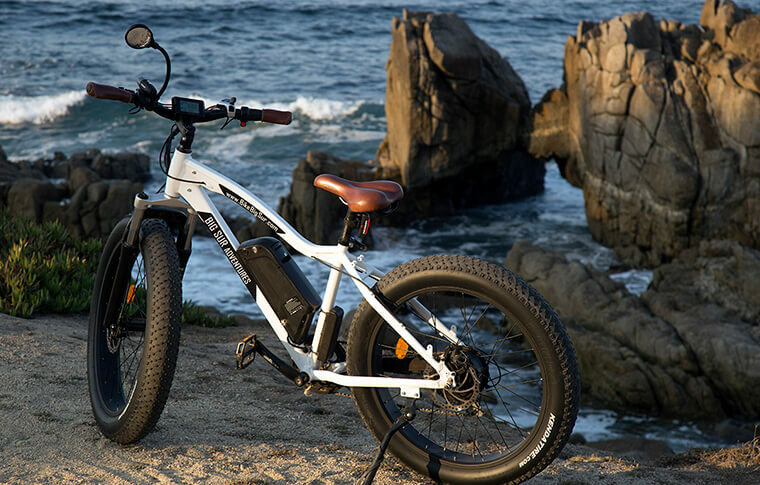 Adjust the bike’s electric assistance to fit your preferences. It’s suitable both for people who want a good workout and for those that don’t want to expend much energy. Our ride alternates between separate bike lanes and roads shared with vehicles (25 mph speed limit). This tour is recommended for riders aged 16 and older. For those of you considering taking children as passengers, we’d like to note that the tour pace may be faster than some are comfortable with (15-20 mph). If we go too fast for you, your guide can set you up to ride at your own pace. Under these circumstances, we will only bill you the rental rate, not the tour price. Though we have over 120 e-bikes, we limit this tour to 20 riders to stay safe and avoid negatively impacting traffic. We may be able to make an exception for special events if you contact us in advance. While Southern California is known for its sunny weather, our climate here up north tends to be a bit cooler. We recommend dressing warmly so that you can fully enjoy the ride! We had Jonathan as our tour guide, and he was amazing! His knowledge of the area and the history is impeccable – listening to him was really fun! He makes you feel like a friend and not just a tour guide by opening up and sharing personal things and tries to personalize the tour to one’s interests. The bikes are super fun and very easy to operate, you could do the whole tour off the battery and not pedal even once. The KRML 102.1 Team joined a group of visitors for the 17-Mile Drive guided tour in mid-August and we had a wonderful time! 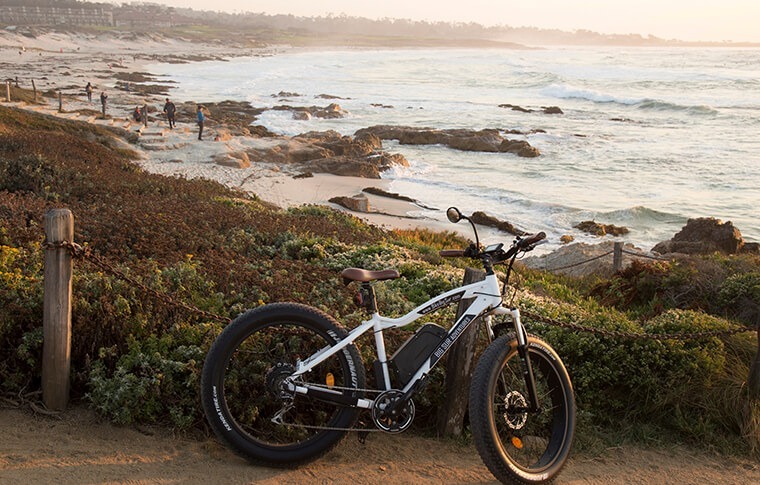 These sights were familiar for many of us, but they had never been experienced on an e-bike — it is an experience not to miss! 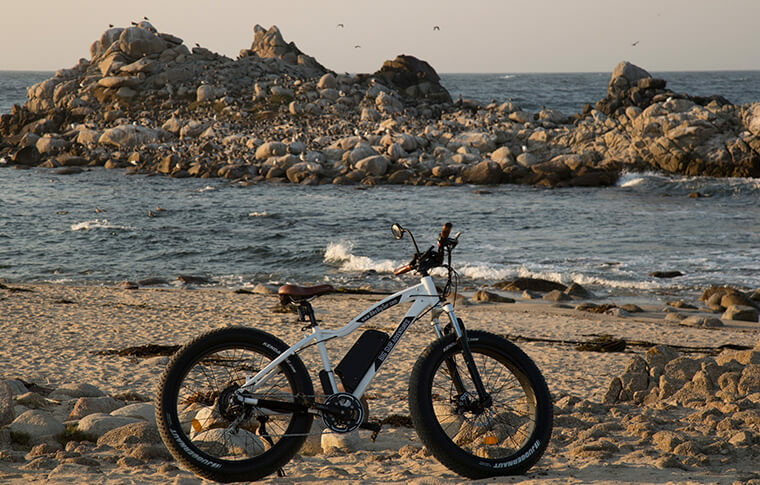 Breezing along on an electric bike gives you a much more exclusive and intimate experience. Everyone, tourist or local, should book their own Big Sur Adventure! This was a great way to spend 3 (almost 4) hours. They company is run very well, and the equipment is good. Jonathan was a great guide. He gave us good commentary on many interesting things along the way, including harbor seals, John Denver memorial, beautiful golf courses, and nature. I’m 62 so I was a little worried about doing this, but it was very easy. 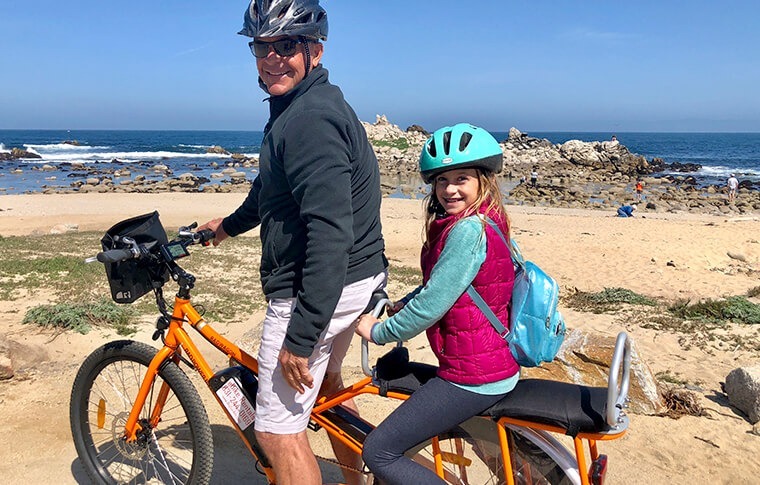 The family and I were in Monterey for a few days and decided to book a bike tour. Big Sur Adventures came highly rated and we were very pleased. The staff was very helpful getting the bikes and safety gear set up. Our guide Jonathan was outstanding, very knowledgeable and told great stories. The bikes were all in great shape and made the ride easy. My wife and I are avid cyclists and my son is not, he had no problem keeping up with us and riding the entire 3 hours. My 13 year old son and I enjoyed this 3+ hour tour over Labor Day weekend. 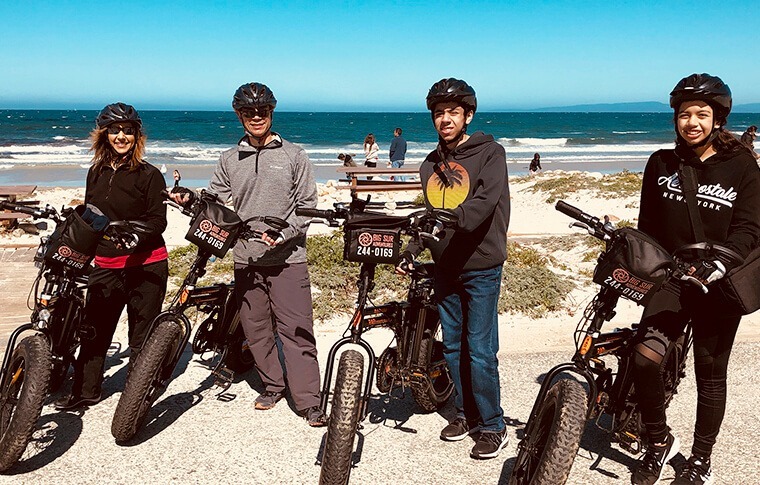 This was the second time that we took an electric bike tour – and it really is a great way to take in the sights and keep a teenager engaged. We both rode the step throughs, and we are both just over 5″ tall. The bikes were easy to use, the staff took great care in ensuring that everyone was looked after on the tour, and despite being a pretty cool and foggy day, kept it interesting.